Barbara was raised as a dependent of an enlisted Air Force Master Sergeant. With frequent moves (PCS), the only things Barbara could count on were her family and her dog. Throughout her growing up years, Barbara remembers her family dog as a source of companionship and joy. Barbara also has a very compassionate heart and a gift for caring which can be seen through her career of a Registered Nurse. Barbara is currently working for the Air Force as a New Parent Support Nurse working with families of newborns to 3 years old. While working in clinics in San Antonio, she noticed the ability of her clients to connect with her dog and help her gain information needed as the client would tell ‘the dog’ what was happening as it was easier to talk through whatever issues they were facing at the time. Barbara has trained her own dogs in obedience, rally, conformation, agility and as therapy dogs. She works with all breeds, ages, obedience levels and disability types. She has worked with folks in the military, athletes, medical challenges, kids, adults, etc. 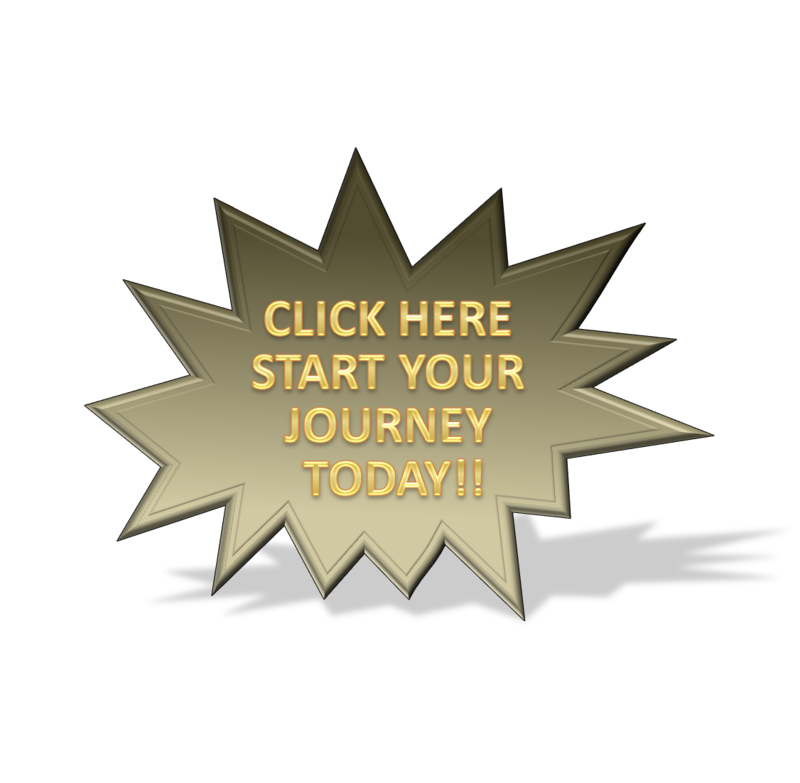 over the last 23 years which enables her to assist new dog owners to new dog trainers to be able to increase their confidence and integrity to ensure success in their companionship with their dogs. 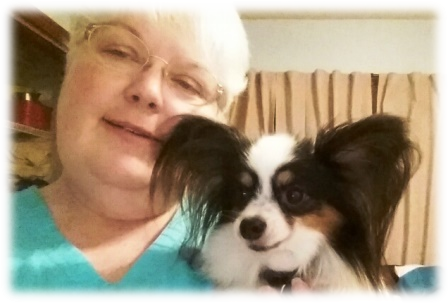 Barbara entered the dog training world with Bitsy, her first Papillion. Bitsy was not only trained for show but also agility and obedience. Bitsy won many titles throughout her years however the most rewarding for both Bitsy and Barbara was when Bitsy was trained to be a Certified Therapy Dog. Barbara and Bitsy began the first Pet Therapy Brigade along with a dachshund named Max at military bases in San Antonio, Texas. When she moved back to North Texas, Bitsy visited retirement and nursing homes on a routine basis. Bitsy enjoyed her work and Barbara was amazed at Bitsy’s innate ability to work with different people and give them what they needed. Barbara also noticed a benefit to her co-workers and the work environment in San Antonio and Wichita Falls. The staff always looked forward to seeing Bitsy each week. Barbara has had her own business helping dog owners with basic obedience all the way through a therapy dog, depending on the needs of the dog owner and the dog. Barbara has continued to train her own dogs and show them at different shows across the nation. She is a well-known and respected member of the dog training community and she is always attending and learning more new improved ways to help train dogs with special behavioral issues or a pet owner with a special need. Barbara supports the clicker dog training method as her first means of basic obedience as this helps the dog learn quickly and positively. A few of the workshops and seminars she has attended include canine authors such as Dr. Patricia McConnell, Terry Ryan, Gerianne Darnell and Barbara Cecil. Barbara’s main goal in her Canine Training is to work with owners and their dogs to have the best relationship while having the most fun. She is a graduate of Penn Foster’s Dog Obedience Instructor course, an AKC Canine Good Citizen (CGC) and Socialization, Training, Activity, Responsibility (S.T.A.R.) puppy Trainer and Evaluator. She is in good standing the American Kennel Club and the United Kennel Club. She is also a mentor for the Animal Behavior College in California and works with any referral from this college on starting their own dog training school. 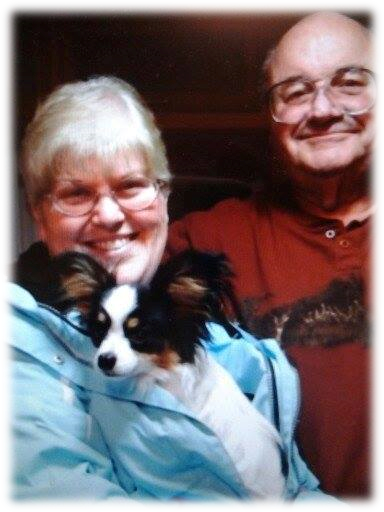 Barbara is active in transporting Rescued Papillons to their forever homes and has been a foster parent for many dogs ‘in need’ of rehabilitation or just a place to get well before finding a forever home. Barbara has been a resource to friends working through challenging canine behavior. Two years ago, Barbara began her journey into the Service Dog world through a friend and his dog. He needed help to train his dog to be his service dog as he was not able to afford to purchase a service dog and he already had a terrific dog that had already begun to pick up on his needs. The client has PTSD, TBI, seizures, and can’t move his eyes sideways or up and down. Barbara’s husband is Vietnam veteran with PTSD, Anxiety, Depression, nightmares and recently diagnosed with Parkinson’s disease. As a wife of a veteran, Barbara has become more aware of the benefits a dog can provide. She has seen her husband calm down when one of their dogs gets in his lap or barks to get his attention. Barbara has used her dogs to help her through her own depression at the death of her father and her prize winning papillon during a three month period. Barbara has recognized a need in the local area for Service Dog Training assistance. She is excited to expand her knowledge to include working with those needing a service dog and being part of Service Dog Express.